American communities cheer the Russians’ defeat of Napoleon’s Grande Armée each year in outdoor pops extravaganzas on the Fourth. That’s Tchaikovsky’s cannon-and-chimes 1812 Overture (Op. 49) still rivaling Sousa in our ears. So it’s not that surprising that We, the Creatives, can bring a certain mercurial — none dares call us self-centered — charm to our observations of Independence Day, is it? Thus, you’ll find that several commentators in the field this week have mentioned our authors’ “freedom” and “independence” as being worthy of a good Roman candle and a match. One strong example of this comes from the Kill Zone. Sorry about that group-blog name, it’s the genre-gnawing noir-dark-alley-blog-home of several accomplished suspense and thriller writers. As far as I know, they’ve had not one homicide there. Yet. One Kill Zone member we know well here on the Ether is our good friend James Scott Bell. Today we have more freedom to choose where to publish our work. We used to be confined to the mega New York publishing houses. Here’s what it means to choose the self-publishing path: Besides writing and marketing our own works, we have to outsource to editors, cover designers, and formatters. We have to collect the income from various distributors and formulate our own spreadsheets. And don’t forget buying ISBNs, determining a name for our publishing “company”, and registering for copyright. With freedom comes greater responsibility, and we’re feeling that as indie authors. If not quite our own private Huis Clos, Cohen brings us to…shall we say, the ties that bind us. These are tough choices, but at least we have them. It’s more than we could do several years ago. Now there’s always the possibility that our work will make it into the hands of readers one way or another. Isn’t that a reason to celebrate? Well, hm, somehow, I don’t find myself jumping into the conga line on the strength of that “possibility…one way or another,” no. But I salute Cohen for just that — for posing it as a question instead of as a truth we all feel ready to hold self-evident. Let’s explore an author’s freedom in the next section, also, as we look at a call to arms from a good colleague in the Colonies’ libraries. If libraries could mount a campaign directly at authors and agents, it could help broaden access to (e)books. Librarians could raise awareness that an author should “Say yes to your library!” and write into their contracts the requirement that their (e)book be available in the library market without onerous limitations. Here on the holy Ether, this is preaching to the perverted. But Peter Brantley, in his post at Publishers Weekly’s PWxyz blog — Authors: say yes to libraries! — is working, in part, in response to the news of the Smashwords deal with California’s Califa libraries. As we covered in the last Ether, that arrangement has a clause that will allow library patrons to publish their own books and offer them up as library ebooks. While there seem to be glimmers of hope in a couple of limited pilot programs, the major publishing houses are still holding out from allowing their front list ebooks to be borrowed by library patrons. You get the spirit of the idea right away, of course. A big heart is at work here. But when I asked agents about this? Well, first they ran out of the room. One issue I’m running into from time to time is that members of the community don’t feel they can speak honestly on the record. This is especially true of agents, who worry that if they honk off any publishers with a comment, they could end up being less able to get what their author-clients need. While I understand the fear — and regret the paranoia — I think it’s a mistake to speak off the record. Normally I wouldn’t carry such comments, but in this case, I went to the people I asked, and I can vouch for their authenticity. While this might be a viable and interesting option for authors when re-selling back-list or self publishing, traditional front list publishing contracts for authors without massive leverage would not be viable in my opinion. 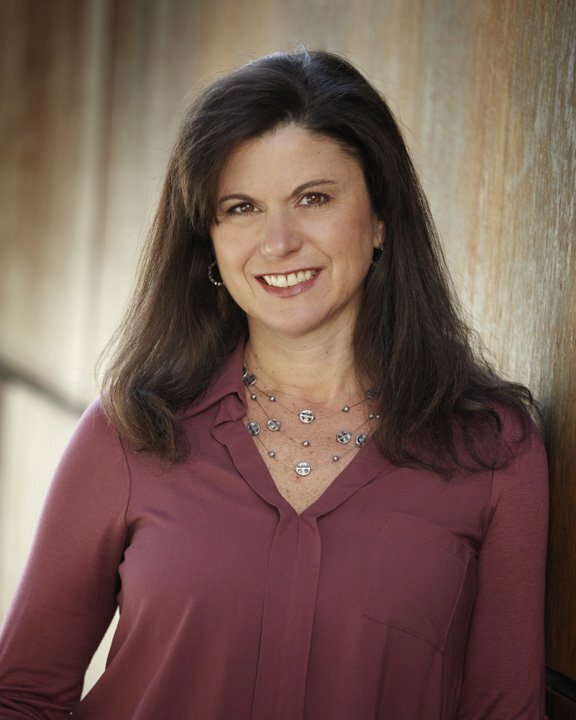 One agent who is always generous and up-front with authors — no stranger to Ethernauts here — is Rachelle Gardner. And is it worth giving up a publishing contract? No. One publisher weighed in, too, again on condition of anonymity, but echoing what these and other agents told me: only a “very attractive, proven” author could be expected to prevail on this in a contract negotiation. So while the idea of Smashwords’ arrangement with the Califa libraries might have inspired Brantley’s post, the folks I spoke to kept going back to the fact that Smashwords is a self-publishing service, not a traditional publisher. The idea of facilitating library availability can make us feel all warm and fuzzy, sure. But do we know that librarians are ready for, as Coker puts it, “indie authors to move in and serve the needs of libraries.” Would a lot of DIY work from debut authors serve those libraries’ needs? Even if writing things into contracts made sense for traditionally published authors, it might be worth finding out first whether libraries are ready to “say yes to self-publishing authors” they’ve never heard of before. Data collected from Nooks reveals, for example, how far readers get in particular books, how quickly they read and how readers of particular genres engage with books. A gallery, “We Know What You Read,” accompanies Alexandra Alter’s article in the Wall Street Journal. This illustration is by John Cuneo. Amazon can identify which passages of digital books are popular with readers, and shares some of this data publicly on its website through features such as its “most highlighted passages” list. Readers digitally “highlight” selections using a button on the Kindle; they can also opt to see the lines commonly highlighted by other readers as they read a book. That’s Alexandra Alter writing. You might not have known that because way too many people have referred to her widely read Wall Street Journal piece, Your E-Book Is Reading You, as “that piece in the Journal” — as if it had materialized by itself. If writers don’t respect writers enough to refer to them by name when discussing their work, who will? Alter’s article generated some chatter because, of course, it helped signal the formidable data-gathering power that digital formats can bring to bear on the industry — and in ways that may not always be as readily available to authors as to retailers or publishers. There was a parallel moment in journalism years ago, when newsrooms were equipped with heat-mapping displays of their news sites’ pages. Intensifying color indicated where users were clicking. Hot phrases, popular photos. All of this was used to leverage advertising dollars, of course. And at times, such displays served as “proof of reader interest” to impress on journalists what material was popular with audiences — and what wasn’t. The big question here, of course, is how much access writers may have to such data in book publishing and selling And, in particular, how can self-publishing authors hope to access a retailer’s knowledge of how readers are handling her or his work? Amazon, in particular, has an advantage in this field—it’s both a retailer and a publisher, which puts the company in a unique position to use the data it gathers on its customers’ reading habits…Kindle users sign an agreement granting the company permission to store information from the device—including the last page you’ve read, plus your bookmarks, highlights, notes and annotations—in its data servers. The Journal piece did suggest one kind of data that is extremely worth noting: when consumers show heightened interest in a particular author (by reading that author’s book faster and with fewer interruptions than others) or declining interest (by reading more slowly or abandonment before completion) in one that has had prior success. Because, if they’re smart (meaning publishers), they won’t want Amazon to be the only publisher who knows what retailers know. He’s right. 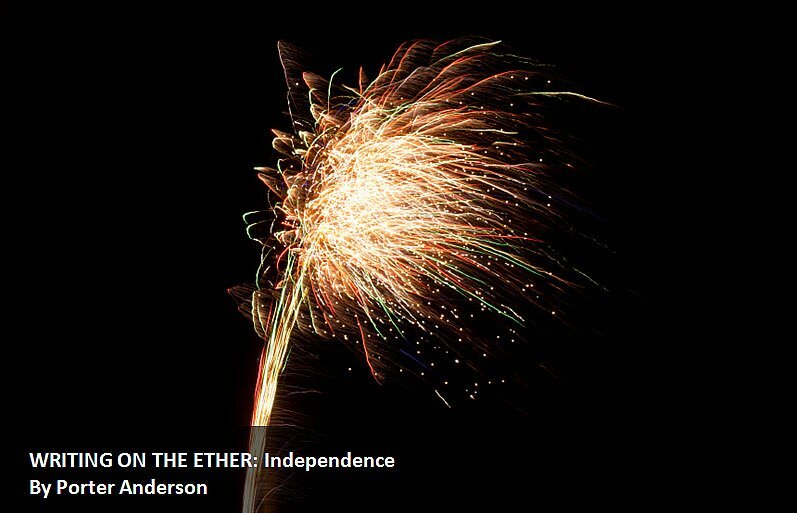 And even as they salute new ideas of publishing independence this summer, Ethernauts of the authorial persuasion may want to give that point some thought. The battles of the revolution ahead may turn on the struggle for transparency. Despite the furor over what some see as Journatic’s unethical methods, the harsh reality is that the economic conditions that led the (Chicago) Tribune and others to make use of the service are not going away any time soon. Not that we needed more evidence that legitimate newspaper work is staggering through an ugly twilight, GigaOm’s astute and perspicacious commentator Mathew Ingram is particularly good on the latest embarrassment — the Journatic affair. …uses freelancers and staff to compile the kind of local news that typically appears in weekly community newspapers or the local section of a daily like the Tribune: that is, announcements about local sporting events, residents who have won awards, council meetings and so on. When issues in journalism come up — this happened with the Jonah Lehrer case recently — I sometimes hear from people that they don’t get what the big deal is. Now, this is because, of course, journalism spent many decades collectively believing its high standards were understood and valued by the public, only to learn in the digital age that, by and large, this was rarely the case. Hence the rise of ideologically driven news (something close to an oxymoron), “citizen journalism” accepted as a replacement for professional news, collapsing news media, and more. It’s sort of a tattered product that’s being written overseas, and half-heartedly edited, and just kind of slopped on the page. And journalism is supposed to be sort of like a local institution, and written by people that care about what’s going on there. Much of the reaction to the Journatic story has focused on how the fake bylines — and the way reporters described who they were in phone interviews — were designed to simulate hyper-local content, and how this is an unethical or at least unappealing thing for newspapers to do. The uncomfortable reality is that the Tribune and other newspapers started using Journatic because it was a lot cheaper than generating that kind of content with staff reporters, and newspapers have been scrambling to cut costs as their print-advertising revenue continues to free-fall. The Tribune, for example, laid off 22 employees when it outsourced its hyper-local content to Journatic. An effort to replace what once was labor-intensive local reporting, in other words, is driving these alternatives. Ingram again, and here he mentions Narrative Science (also in Chicago — is this in their water?). I saw Narrative Science’s presentation at the Tools of Change conference in February. At the end of the day, centralized and partly-automated production of…generic content is likely a reality for newspapers — or even fully-automated production, from services like Narrative Science, which generates sports stories, business stories and an increasing range of other content using algorithms instead of human reporters and editors. It may not be the kind of future that all journalists or news consumers would like to see, but it is probably the future nevertheless. The newspaper business as a whole doesn’t seem to have a better idea, not unless consumers want to start paying properly for their news…According to the website Paper Cuts, something like 35,000 people have lost newspaper jobs since 2008 because of layoffs and buyouts. Unlike most newspapers in America, Journatic is hiring. Little Brown UK has released Mario J. Pulice’s cover art for Jo Rowling’s coming grown-up book, The Casual Vacancy. The design’s illustration and lettering are by Joel Holland. This will be Rowling’s first post-Harry effort, of course. Pottermore be damned, she’s going Potterless. And this early release of the cover, meant to make us want to read the book, of course, offers a very high-visibility chance to do what we all do, anyway. Even though we say one should never do it. Let’s judge that thing by its cover. We hear a lot about what traditional publishers do for authors, of course. And near the top of every list is always great cover design. Not that we can actually tell a thing about how the novel will read from this, of course, but as you arrive at the page on which Little, Brown displays this excitement, I want you to notice where your eye goes. Go ahead, click here and have a look, see what draws your attention. I’ll wait. Upper right? Right. Even after an energetic young man Czech-ed him out of Wimbledon in that bizarre match last week, too. Now, now, calm down. Apples and oranges, you bet. Different rackets. Different strokes, too. All disclaimers flying, sure, sure, don’t get all hot under the collar, the legal department hasn’t been called. “Entertainment purposes only!” as Nathan Bransford likes to disclaim when he asks readers for opinions. And far be it from me to try to tell you what’s a good cover and what isn’t. But maybe this is a comparison to keep in mind. For someday when you need it. Or pay me no mind whatever. Food for naught. Do I look like a design expert to you? I’ll just make a few phrases here. It’s all I’m good for, really. If you’re reading the Ether on Thursday, July 5, TheFutureBook in London is holding its second Innovation Workshop at the Unicorn Theatre in Tooley Street, in association with the Literary Platform. In my adaptations, Shakespeare’s audience speaks aloud. They serve as a chorus as they watch the plays unfold, and they provide us with a look inside the Elizabethan mind, from the nobles to the groundlings. The MyShakespeare site serves as a spot where “artists and audiences interpret, recode, and remix Shakespeare’s online world.” And Sam Missingham and her colleagues at TheFutureBook have had the grace to recognize that project as something that can have application to the mounting pressure in publishing for connection with readers. Literary Platform founder Sophie Rochester produced a strong blog piece, herself, in advance of the Innovation Workshop, Ten Challenges to Innovation in Publishing, and it ran both on that site and at TheFutureBook’s blog page. Even if you don’t get a chance to look for tweets coming out of the workshop, do give yourself a minute to scan Rochester’s wise work. Among her ten points, two I think are especially important for all of us to consider, in terms of what publishers are facing and doing. There’s no return on investment and we’re quick to throw in the towel. At the Frankfurt Book Fair in October 2011, all the talk was around social reading platforms, but by the time we’d reached New York in February 2012 some at BookCamp already dubbed social reading ‘over.’ This crazed seesaw of enthusiasm vs. contempt for digital publishing initiatives only adds to the general anxiety of decision makers. One of the reasons I like Rochester’s write is that she’s willing to mix both hard business realities and the “softer” side of this industry crisis, the sheer jerk-around of fast-swinging opinion and the emotional toll that takes. We’re all feeling that “crazed seesaw” about one initiative or another. Queasy is too nice a word. And publishers may need more Dramamine than anybody these days. We’re not talking to each other. I’ll leave you to go over the rest of Rochester’s points, yourself. Ellis’ presentation from the RSC is in the opening session, comfortably scheduled — for Eastern US followers — at 1320 BT, 8:20a ET. With Ellis is Jeff Norton, who will talk about a new narrative development process that involves beta-readers (I’m wondering if there’s a parallel here with agile), and producer Mike Jones on the author-audience relationship. Thomas Leliveld of Berlin’s txtr speaks in the 1540 BT session, 10:40a ET, about online retailing “for books in a competitive marketplace” (is there any other kind?). Peter Collingridge of Safari Books Online makes a presentation (also in the the 1540 BT session, 10:40 a/ET) on analyzing the effectiveness of digital campaigns and audience reach — plus balancing risk and innovation. I think there’s an idea floating around out there that you have to “know someone” to get an agent, or meet one at a conference, or somehow be connected. Agent Jenny Bent wants you to know that you don’t have to have an inside track to reach her and other agents with a pitch. The truth is that about 50% of my clients have come to me completely cold–via an unsolicited query letter. And I am often competing with really top agents for projects that have come in unsolicited, so I know that they are getting clients this way as well. And she’s ramping up to a series of query letters that have worked. …a terrific summary, a fabulous hook, comp titles of other books that I love, a compelling reason for querying me in particular, and intriguing biographical information that is relevant to the book she has written. Not only is this great information — along the lines of the demystifying efforts that agent Rachelle Gardner specializes in — but it also does writers the favor of helping knock down the old, exhausted complaints that agents are naysaying gatekeepers. Bent seems bent on getting to you with something informative, welcoming, and actionable. I’m a fiction writer, but I work in marketing and PR. I’m well aware of the power of platform, and I want it. I want it now. So you remember, of course, when everybody took the Platform Pill. One of the things that made the introduction of the author-platform concept so confusing is that many of our “gurus” forgot to mention (or didn’t know, themselves) that platforming is far more an issue for nonfiction writers than fiction people. But is this really worth all the time and effort I’m pouring into it ? I could be watching TV, hitting the gym, spending time with my husband or—ahem–working on my manuscript. The answer is yes, I absolutely believe it’s worth it, for three big reasons. And so, in Putting the Cart Before the Horse, Emily Wenstrom, guest-blogging at Elizabeth S. Craig’s site, goes over what she believes are the reasons for her unorthodox interest in platforming for fiction. It gets me actively engaged in the community. Wenstroms’s post is well worth a look. Allies. Doing someone a favor and then immediately asking for one is inappropriate; favors don’t win allies. Only you and your work win lasting allies. Do good work and treat people kindly, and strangers will reach out to help you. Recognize those who will never help you, and ignore them; indignation and regret waste energy. Author Sarah Manguso gets into the Work in Progress blog at publisher Farrar, Straus and Giroux with one of the best rounds of direct advice I’ve come across in some time. Meaning no bush is beaten around — Manguso travels with a buzz saw. Enemies. Know who they are and monitor them. Those who offer or ask for favors might be enemies in cheap disguise. Calling enemies out in public makes you look weak; in the company of others, act as if no enemy could possibly hurt you. When asked about an ad hominem attack, pretend never to have heard of the attacker. Maybe kindly, Manguso headlines her piece How to Have a Career: Advice to Young Writers. But plenty of veterans are going to get some important tips here. Or maybe something more like what you pick up in good therapy — that merciful realization that you’re not crazy and that the way things look to you isn’t wrong. Friends. Avoid all messy and needy people including family; they threaten your work. You may believe your messy life supplies material, but it in fact distracts you from understanding that material, and until you understand it, it is useless to you. Manguso’s latest book is The Guardians: An Elegy from FSG. And while checking it out, do look in on her author page. 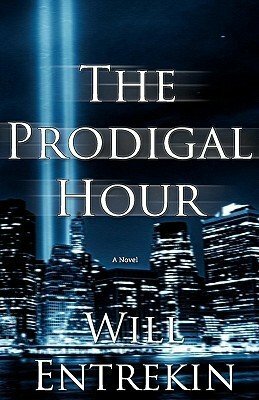 You’ll find this author is prolific, serious, decidedly in gear. Onward. Once you’ve truly begun, slow down. The difference between publishing two good books and forty mediocre books is terribly large. Don’t expend energy in writing and publishing that would be better used in your family or community. Tim Kreider…has seen his book jump over 2000% following his column for “Opinionator” for the New York Times on June 30. The post, titled “The ‘Busy’ Trap”, is about how “busy” and “tired” we all claim to be, and has drawn over 500 comments. On the morning of July 2, the book jumped to #255 from #7,271. And here are books mentioned recently in Writing on the Ether. In case you’re not able to see the Flash slider of book covers, I’m also listing the books for you. The inclusion of these works, by the way, is meant as a convenience, not an endorsement. Read them all, and report back to me. We’re going to talk visual art here a little bit, yes, even in a publishing column. So sue me. I have interests in the visual arts, you should, too. I thought I could resist until New Yorker cartoonist Drew Dernavich got off that line ex-Duchamp. And in addition to the joy of finding a cartoon artist who can write, there are obvious parallels in his comparison of two iconic American painters’ efforts in the “patriotic space” of the Fourth. In An Analysis of the Thomas Kinkade Calendar for July at The Awl, there’s nary a mention of the unsightly post-mortem tussle going on. For that, you can read an Associated Press report carried by CBSNews: Thomas Kinkade’s widow, girlfriend face off in court over $66 million estate of “Painter of Light.” Good times. Rockwell confessed, “I am a story teller.” And this is where the similarities abruptly end between Rockwell and the man (Kinkade) who so badly wanted to be mentioned in the same breath as his idol. Dernavich proceeds to take apart the July 2012 Kinkade calendar entry, “Homecoming Hero.” And the essential point of his comparative review of what made one man an artist and the other a hack is in specificity. Dernavich never stops going at it in gratifyingly literary terms. The scene depicts an American soldier stepping off a patriotically festooned bus and into the large talent gap between the two artists. Check that: on second look, we see that the soldier is only stepping into a Kinkade painting. But this is a panorama, not a story. Stories must have tension and resolution, and in Kinkade there is always only resolution. Let’s look at the painting that Kinkade was aiming for when he did this one: Rockwell’s “Homecoming Marine,” from the October 13, 1945, cover of the Saturday Evening Post. It’s one of his best works. First of all, context. This represents a real individual from an actual war, specifically the Japanese theater from WWII. Notice how the human faces are inscrutable, but Kinkade has still found the energy to zoom in and scrawl the name “Merritt” on the soldier’s bag with precision. You can tell where the emotional center of a work is by where the artist has chosen to spend his time, and it’s in gimmicks. Look at the group gathered in Rockwell’s portrayal. They are individuals, and they are connected physically and emotionally. There is drama in the poses, the faces, the clasping of hands. It is not all smiles and relief, and it looks as if the homecoming soldier might even be relating details of horrific events. But he belongs to this group of men, as we can see by his picture posted on the wall. Isn’t there a place for the lesser work of pop artists, as well as pop writers? Of course there is. 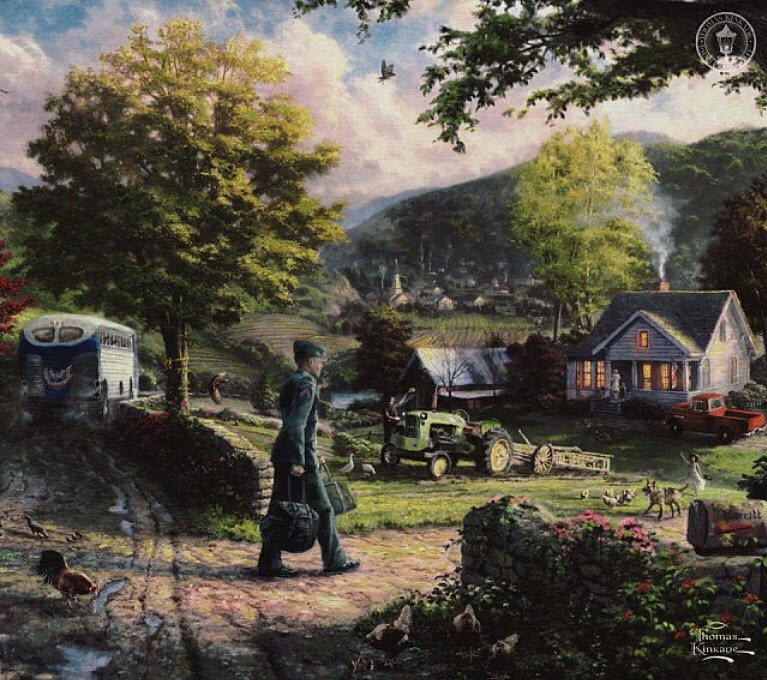 If there weren’t, the landscape of our time wouldn’t be strewn with these Kinkade pieces (and too many well-executed Rockwells, too, for that matter). But a good takedown like Dernavich’s critique is worth a couple of hundred Kinkades. It keeps acceptance of lesser work “for what it is” from becoming too comfortable. And it sends us back to our own work looking for worthwhile specificity. ← EXTRA ETHER: eBooks Gone in 5 Years? If the freedom of this new “e-paradigm” places increased responsibility upon authors for the business-end of things (outsourcing to editors designers, collecting income from distributors, buying ISBNs etc. ), one would expect that some enterprising individuals would soon offer the latter as a paid service. Perhaps it’s already being done. In any case, as self-publishing grows and traditional publishing withers (perhaps it would be more appropriate to simply say, “as publishing evolves”), I imagine that today’s literary agents who adapt to survive in tomorrow’s world will be those who provide such services to authors. It is that. Easily the deepest upheaval in publishing since Gutenberg’s press, this is truly sea-change stuff. Take your time, lots to absorb and learn. And thanks again for reading the Ether, we do our best to keep you on top of the important developments. The amount of freedom/responsibility one faces as an Indie v Big 6 author depends on the career point. A debut author will face a debut editor (fresh ink on the Eng Lit degree) at a Big 6. A career author will command a more seasoned veteran. The Indie landscape is where many seasoned editors go for job security, editorial control, and stable income. For a debut author, you will get a much better editor by hiring one yourself. Art and marketing are much the same albeit with a few more dangers along the way. I don’t have a design background, but I can at least say that the cover for Rowling’s book is very forgettable. The other day I browsed through Jasper Fforde’s website and found that he has 2 new books coming out in the U.S. soon. Both covers stand out in my memory very clearly and leave me intrigued. Thanks! And on the plus side for Rowling, I suppose the cover won’t hurt sales too much… though it wouldn’t hurt to have something a little more engaging. The covers for the Harry Potter books were pretty memorable. I see Rowling’s cover and think “kitschy, sixties-flavored soap opera complete with avocado-colored appliances”. Why? I have no idea. I’d be willing to read it in spite of that, based on the description underneath. Right, and right. Lots of folks will overcome the initial dislike of the cover to read Casual Vacancy. As I was just saying to Ed here in comments, if the book is a hit, the cover probably won’t slow it down much. But if the book doesn’t hit folks right? — endless cover complaints. 🙂 Thanks for commenting, Amy! -p.
In response to Rochester’s point # 7, I would bet both Amazon and Apple carefully track exactly what digital books and books/apps make in sales $ and can make credible estimates of each developer’s/ publisher’s ROI. So they know more than anyone about the profitability of digital publishing. One more advantage that Apple and Amazon, as both ereader providers and retail content purveyors, have over traditional publishers. Correct, Alice, very insightful. In fact, this is the elegant point that Mike Shatzkin makes in his essay — the last thing the publishers want is for Amazon to be the only publisher that actually analyzes and acts on such data. At this point, however, because Amazon is the retailer-publisher — at a level of hybrid the other publishers are nowhere near achieving — that is the case. Amazon-the-retailer is able to feed Amazon-the-publisher with highly specific, actionable data, and the success rate is, as we know, impressive. Good of you to read and comment, many thanks!